There are other projects that explore Everest in virtual reality, but none have documented the travails of ascending the world’s tallest mountain before. It’s famously “there,” so a whole lot of people want to climb Mt. Everest. But the vast majority of them will never get anywhere near the peak in the Himalayas. Now virtual reality can take anyone to the top of the world’s tallest mountain. For some time, it’s been possible to “climb” a computer-generated Everest, thanks to “Everest VR,” which lets users of high-end VR systems like the Oculus Rift and HTC Vive ascend to 29,035 feet in an entertaining, albeit facile, facsimile of the experience of summiting. Save for a scene or two in which you disappear in a fog of wind and snow, though, you don’t get much of a sense of how incredibly dangerous climbing Everest is. Today, Sports Illustrated adds a new, more visceral entrant to the Everest VR canon. With Capturing Everest, which it is promoting as the first-ever live-action virtual reality film of an Everest summit attempt, viewers are invited along on the successful 2016 climb by Brent Bishop, Lisa Thompson, and Jeff Glasbrenner. Adding to the intrigue of the effort is the fact that Glasbrenner is an amputee, making his climb enough of a heroic venture that “SI” is putting him on the cover of its next issue. For her part, Thompson is a cancer survivor who seems to be looking for a new life after a divorce and leaving behind a lucrative career. The climb itself was hampered by poor weather and afforded the team just a single shot at the summit. Along the way, viewers are treated to an inside look at the travails of trying to reach the top on a NASA-designed prosthetic leg, being far from friends and family in frigid, dangerous conditions, and crossing Everest’s famed (and sometimes fatal) ice falls. 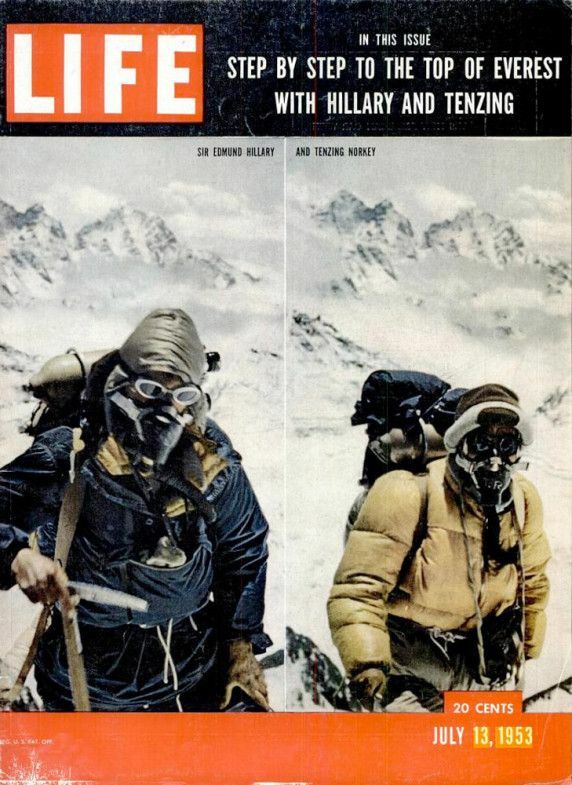 For Sports Illustrated parent Time Inc., presenting Capturing Everest through the Life VR app fits right into the company’s DNA, given that Life magazine documented the original Everest ascent by Edmund Hillary and Sherpa Tenzing Norgay in 1953, explained Mia Tramz, the managing editor of Life VR. To be sure, climbers have in the past shot 360-degree video from Everest’s summit using inexpensive consumer devices like the Ricoh Theta, said Bonnie Pan, president of the film’s coproducer, Endemol Shine Beyond USA, but no one has shot the “bottom to the top [climbing] experience” in VR before. Unlike traditional professionally shot Everest films, both fictional and non-fiction, the Sports Illustrated project, presented initially through the Life VR app and broken into four episodes, was shot mostly by the climbers, who had received limited training at Everest Base Camp in capturing footage with custom VR rigs made from a set of GoPro cameras. In part, Pan explained, that minimal amount of training stemmed from the fact that the project was only locked down as the climbing team was en route to the mountain. Part of the experience involves the extreme danger of an Everest expedition. Over the years, many have died on the mountain, including famed Swiss adventurer Ueli Steck, who perished near there just this past weekend. That’s why one element of the training the team got involved understanding how to navigate the challenges of carrying the VR camera gear, “especially when your life is at stake,” Pan said. Those familiar with previous Everest films will quickly notice that the SI project, while definitely showing the beauty of the mountain, does so at a much lower visual quality than one might expect from a project produced by a major media company. But that’s a function of the gear the climbers used, their minimal training, and “because we wanted that raw gritty look at what they were doing,” Tramz said. In more traditional Everest film projects, the money shot is, of course, a stunning panoramic view from the highest point on Earth, a look at the broad majesty of the Himalayas. And while the 360-degree camera used in Capturing Everest does show some of the view from the top, it’s almost an afterthought, and it’s by no means fully panoramic. Instead, it’s limited by the placement of the camera, which was blocked by other climbers on one side. So why didn’t the team make sure to shoot unspoiled footage from the summit? That was a function of one of the realities of how difficult it is to actually reach the top. Viewers will note that the four episodes focus almost entirely on preparations for the expedition and then the ascent. But the film more or less ends once the team has summited, and there’s no footage of the more dangerous descent. That wasn’t intentional, Tramz and Pan explained. In fact, it reflects exactly how dangerous Mt. Everest can be. “What we have is a testament to the difficulty of collecting and then then getting the footage back,” Tramz said. The team had been aided during the climb by a group of Sherpas, the Nepalese natives for whom Everest is like home, and who often carry gear for climbers on the mountain. As they made their way back to the bottom, one of the Sherpas was carrying a bag that contained footage that had been shot on the way down. Suddenly, he began to fall into a crevice and it was him or the bag. He appeared prepared to save the footage at the expense of his own life.